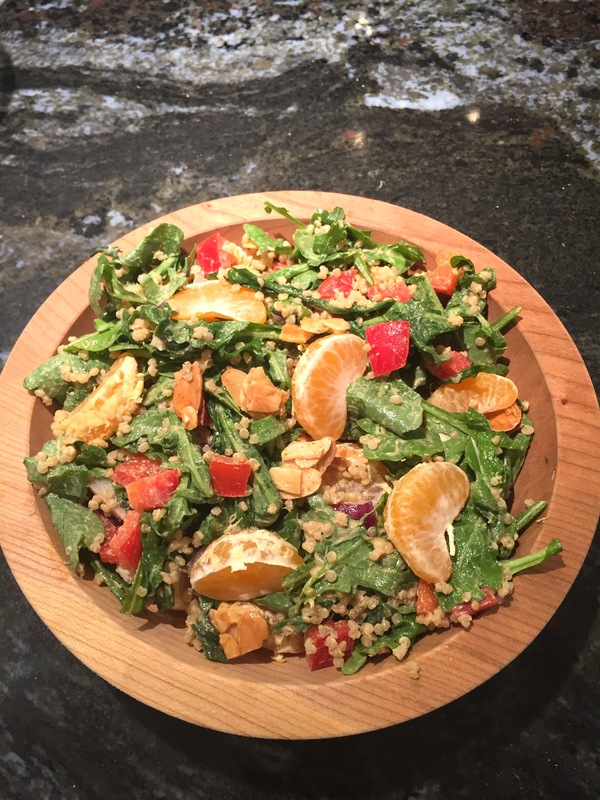 This is a wonderful salad and easy to prepare, particularly if you batch cook some of the ingredients such as quinoa, Sweet and Spicy Nuts and Asian Peanut Sauce salad. It is a also a nutritional powerhouse- delivering a healthy dose of protein, calcium and iron as well as phytonutrients and antioxidants. 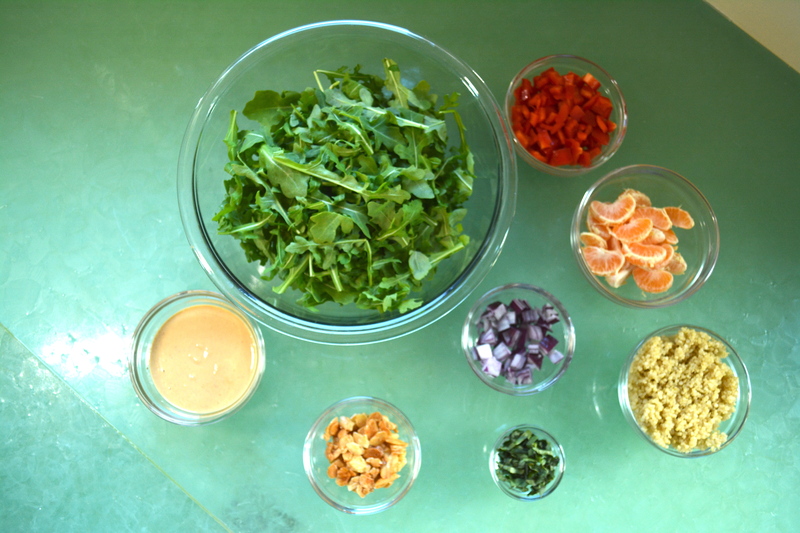 The ingredients for the salad follow my Healthy Vegan Made Easy system. Step 5) a herb, spice or condiment (basil). 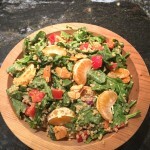 The salad is simple to assemble and offers a beautiful mix of antioxidants and phytonutrients. This protein, calcium and iron packed salad is filling and delicious. In a large serving bowl, combine the arugula, basil, bell pepper, onion and quinoa. Either toss in the remaining ingredients or use the orange segments, and spiced nuts/seeds as garnish and then drizzle the peanut sauce on top.